Last November, Niall Farrell defeated a field of 113 total entries to win the 2017 World Series of Poker Europe €25,000 No-Limit Hold’em High roller. The Scottish poker pro became the eighth player in poker history to win major titles in WSOP, World Poker Tour and European Poker Tour Events. Our reporter, Gaelle Jaudon, spent time with the champion to discuss with him about his recent success and his poker career. Somuchpoker: You recently won the triple crown. What does that mean to you ? Was it an important achievement for your career? Niall Farrell: Yes, kind of. When I won an EPT (Malta), I started to play a few WPTs, and, of course, I thought it would be cool to win one too. Plus, Jake Cody already had a triple, so it would have been bad for me not to have it too! Fortunately, I won one of the first ones I played (Punta Cana). I got pretty lucky, and in December I won the WSOP bracelet in Rovdanov. I made a couple of WSOP final tables before and finished second once, so it was nice to finally win! SMP: You’re known to be a party guy on the circuit. How did you celebrate? Did you do something special? NF: Well, we were in Rovdanov, so we partied as much as we could there, which means nothing crazy. We just went to a bar with Ludovic Jonsen and Chris Moorman. We couldn’t party too hard because we were playing the Main Event the next day, so we just made a couple bets and went back home at 4 am. It wasn’t really crazy. 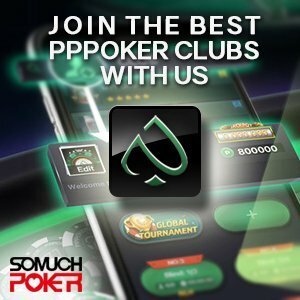 SMP: What do you love so much about poker? NF: I really love the freedom it gives me. I always had problems with authority in general. Having a boss (and things like that) doesn’t really work for me, so I love the freedom to work for myself and choose my own hours. I love the competitive aspect of the game. I’m a very competitive person, so I love the nature of the game and its freedom. SMP: What advice could you give to someone who wanted to have the same career path as yours? NF: Just being a very lucky person helps! The best thing when you’re starting is that there is lots of information online, as well as very good training sites. Generally speaking, most of the pros have an addictive personality; when they do something, they really immerse themselves in it. Even when I’m not playing online a lot, I check on poker stuff every morning. It becomes part of your whole life. If you’re super into it, you want to learn and put in the hard work and go for it. Many people say they don’t want encourage people to play and see it as a gamble, but I think you never know until you try. If that’s really what you want, you have to go for it. SMP: What’s the best decision you made for your career? NF: Deciding to pay for coaching lessons from many various people. I think if you spend the money for one-on-one coaching with someone who’s a good coach, it really speeds up your development and its very important. It really worked for me, especially to start playing a lot higher, like the high and super high rollers. It’s really hard to make that jump by yourself, so if you can get help from someone who’s playing them, it’s really positive for sure. I’ve had many coaches over the years, like David Randall (ghettofabulous online), a mid-stakes professional; we became really close friends. For the higher stakes, I did some informal coaching with Dan Smith. We have a lot in common, so it was cool. It’s always really good to talk with your poker friends and share thoughts. SMP: What is still your biggest weakness as a player? NF: A couple of things. I would say my work ethic isn’t amazing. I should be better, and I think I’ve been pretty lucky in my career and good stuff had come quite easily to me, so that discouraged my work ethic I guess. I probably went far above expectations. The other one, in terms of actually playing is that I have moments where I just don’t concentrate and I play below my best. My A game doesn’t come as much as it could; sometimes its B game. It’s maybe a mental issue I should try to work on. It’s only about focus. If I played, for example, a 1k or a 2K 4 years ago, I would have been super serious about it, but now I’m more like, “Oh maybe I can have a few beers before,” and if friends bust and go to a great place, I would want to go with them and play a little bit crazy. So stuff like that is not great, and I often have little lacks of concentration during very long tournaments. SMP: Your online name is Firaldo. Do you still play a lot online? NF: Not really anymore. I play just big series like SCOOPs. I used to play 4/5 days a week when I was an online pro. I was really grinding it out. Online games are smaller now, even if a lot of things are changing. I really like the new Party Poker schedule, for example. You can play a lot more now, but it’s not something I really enjoy anymore. It’s harder for me to play online. It’s also a lot tougher. Before you could play a lot of tournaments and maybe win 200K/300K without being a great player. I just enjoy it sometimes now. SMP: How do you choose your live schedule? What makes you decide which tournaments have the most value? NF: You know that some locations will have better value. Like Barcelona, for example, you know it will be very big and, generally speaking, if you’re above average at poker, most of the players in the field will be worse than you. With experience, you get to know those types of places. That’s if you’re strictly thinking about value, but I also think in terms of cool places I want to go to. Personally, I find that a lot of the good tournaments like Barcelona and Prague are also in really cool cities, so it works both ways. SMP: What were your biggest weaknesses when you started playing? NF: When I started playing professionally, I would say I was bad at never folding. Back in 2011/2012, I was quite insane. I would play far too aggressively and far too many hands. I remember one particular hand. I was at a final table on a 100$ rebuy on Pokerstars with a massive chip lead, and I ended up 6bet shoving T 6 off versus AA. I got 9th place. I was just doing a lot of stupid things like that when I was younger. I’m an old man now, so I’m tight! SMP: How do you work on your game today? NF: I used to talk a lot with players I thought were better than me. We’d go over the hands and talk about theories of the game, etc. Now I’m more objective. I use holdem calculators or PIO solvers and run simulations to see the strategy (such as, how putting more money in the pot in this texture compares to this texture on different turn cards). It’s a lot more numbers work now. There’s a lot of software where you can run different things. Also, when you play a lot you start to recognize different spots and start to understand which players have which tendencies. Like if a player does A, then he’s more likely to do B and C moves also. That kind of recognition comes through experience. I use those tendencies to exploit players at tournaments. It’s a mixture of all those things basically. SMP: Who do you think are the toughest tournament players today? NF: There are so many good players. There are maybe 20 to 25 players that are all really, really good. Like Fedor Holz; he’s always tough to play against. Adrian Mateos, Steve O’Dwyer, Nick Petrangelo, most of the German guys, Dominik Nitsche, they’re usually all very good. Stefan Felder, Christoph Vogelsand, Daniel Dvoress. There are a lot more, but these guys are very tough to play against. I like to think I’m very tough to play too! SMP: You’re able to stop playing now. What keeps you motivated to go back and keep playing? NF: I still enjoy travelling on the circuit, meeting people, making new connections and friendships, etc. It’s also nice when you are doing well financially through poker to be able to help friends and family. Plus, I have poker friends and old time friends—people I grew up with. Most of the time it’s really 2 different worlds, and they’re both very necessary to keep my head small. I get to live a nice lifestyle. I get to travel and make fun friends; it’s a pretty great job! SMP: What is your next goal? NF: I would like to end number one on GPI. That would be cool. My highest place so far was 9th. The top players are all really close, so one result can change the rankings a lot. It is really tough. I tried to hit number one before, but you get tired of travelling all the time for tournament sand just want to sit down. So, we’ll see where that goes. Winning the Partypoker event would be really cool too, because it’s kind of a new tour, which makes it more exciting. Maybe it would be a 4th crown…I don’t know! Generally speaking, I guess it’s a poker goal to always do well and make sure I keep up with studying and don’t get to complicit and lazy. SMP: On a more fun side, we all know you like to have fun and party. How is it still possible today to keep partying and keep playing at your best level? Can that kind of fun be compatible today with a top player lifestyle? NF: Yeah, I think it’s possible; you just have to schedule it well. I can seem a little bit arrogant, but I can party before an EPT main event or small tournaments because even if I have a hangover and play my C minus game, it’s still very likely to be better than anyone at the table in that field. I know it sounds arrogant, but there are a lot of recreational players, and a hangover pro will still do a lot better than a super focused amateur. Plus, I have a lot of experience playing after parties, so I handle it better than some people! SMP: So what would be your best advice for people who have to go play after a big party? NF: When you get home, drink 4 pints of water and don’t sleep until 5 minutes before the tournament starts. Force yourself to wake up one hour before, take a cold shower, look at yourself in the mirror, examine your life choices…then you’re good! SMP: If you had to pick the most emotional moment in your career, what would it be? NF: That’s a tough question. I really don’t know. It’s weird because I never really get emotional when I win something. Maybe I should, but it just doesn’t happen to me that much. Don’t get me wrong, it’s always great, but I don’t get super excited. To be honest, it was maybe when I had my first 4 figures score online. I won $2000 dollars on a $5 dollar rebuy on Pokerstars. Back then my biggest score was something like $60, and I was really excited. It was like 8 or 9 years ago. I was celebrating with my brothers and my friends. SMP: The poker world and life can also be difficult and even depressing. How do you manage to stay happy? NF: Oh, you’re probably asking to the wrong person for that! It’s tough to find a life balance, but if you feel you don’t want to play, just don’t play; take time off. Try to go to places that make you happy. If sun makes you happy, just go play in sunny places. I think if you have the choice of a tournament that is maybe tougher to play but is in the Caribbean instead of a soft one in some place like Russia, just choose the sun. I think it’s important to not make everything about EV. Your life balance is also very important, so it’s important to look after yourself. Just try to find some really good friends on the tour, people you enjoy spending time with, and it makes your poker trips more fun and enjoyable. A most of our poker trips turn into a blast. So just try to find nice places you like and good people, and just find the balance! SMP: In 3 words, how would you describe poker players in general? SMP: What do you think about poker fame? Did it matter for you to become popular? NF: Not really. I mean I have always tried to be a nice person with everyone. Like everyone, I guess, I do like it when people like me. I’m assuming when you respect people you get the same back. It’s always nice when you realize that people you see as really good players think the same about you; that’s always a good feeling. But being popular wasn’t really important. I think it was more about being sociable. To be nice, to make friends, to have fun…those things are important in life, and it’s the same in poker. SMP: Who are the best people you’ve met in the poker community? NF: So many great people! I love the UK guys, like Ludovic Jonsen, James Ramsey, Jake Cody, Sam Grafton, Chris Moorman, Craig McCorkell, Toby Lowis. The UK guys are really a solid group because we have a lot of similar culture. But I also hang out a lot with some German people, but the closest are the UK friends. We travel a lot together and share a lot of things. SMP: Can we say the UK community is nicer and funnier? NF: Not necessarily! I think when you grow up in Scotland or England it’s a pretty different culture from America. We end up having similar interests, so I guess it’s kind of a natural thing that we spend more time with people who share the same interests. For example, we’re all really into soccer. I don’t think I’ve ever met an American guy who likes soccer! We like to plan long and important trips just to watch soccer games. So I’m not saying we’re funnier or anything; it’s just a case of similar cultures. SMP: What will be your schedule for the next WSOP? Will you play a maximum of tournaments, or will your schedule be more relaxed? NF: I always enjoy going to Vegas, so I’ll be there for the whole series. I will play every no-limit holdem tournament. Well, maybe not the one drop 1 million, unless something really great happens before! Maybe if I sell 90 or 95%; I don’t know yet. I’ll maybe play the 25K satellite into the million; that would be really nice to play. I think it’s an interesting tournament to play. In fact, once you play the 25K satellite tournament, when you go higher and play the million tournament, the field gets easier, which is kind of strange. I think it will be a very good value tournament. Obviously, you have the greatest players, but you also have a lot of rich businessmen. You won’t have many top players at your table, so it will, in fact, be a softer tournament than a 25K or something. I’ll try; maybe bitcoin will help! But apart from that, I’ll maybe play the 300K super high roller at Aria. And Vegas is always fun, so it’s always a good trip!